January | 2015 | Om nom nom! So I pretty much refuse to refer to veggies cut with a spiral-cutter as “noodles,” but that doesn’t make them any less awesome. This was a great side dish, and if you were so inclined, you could make a main dish out of it as well. Standby, we may even be trying this in March. 😉 Anyway, this is a prep method we will definitely continue to use. This was tossed with garlic, red pepper flakes, and a little bit of parm to go with a main dish. Another awesome dumpling from Andrea Nguyen’s “Asian Dumplings” book. I had wanted to try one we’d never made before. These are actually pot stickers, and as bad as I am at pan-frying, I still gave it a go. 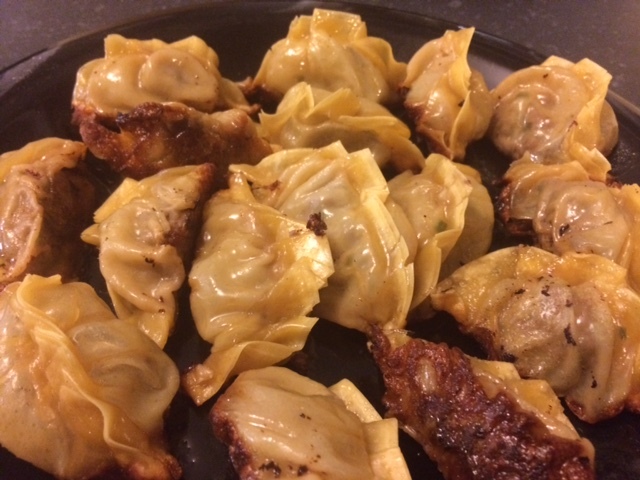 Verdict – filling is awesome, but I should stick to steaming or boiling our dumplings. I overcooked these bad-boys like whoa. But they were still good, which stays pretty much everything you need to know about how ridic they are. Luckily, we have another 30 or so dumplings from this batch frozen for another day, and I am super excited to steam them next time! We had a little farm sleepover party for the horsey friends this past weekend, and I used it as an excuse to cook a couple of elaborate meals and talk endlessly about horses. 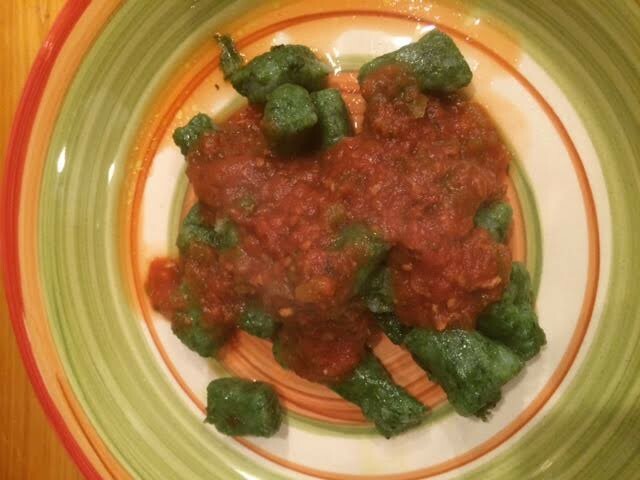 😉 I liked this gnocchi recipe, although I made a couple of errors – 1) should have baked the potatoes longer, it was an effort to really mash them and 2) I overworked the dough and they were a bit dense. But all in all, still a fun meal and worth making again when I don’t beat the dough into oblivion. 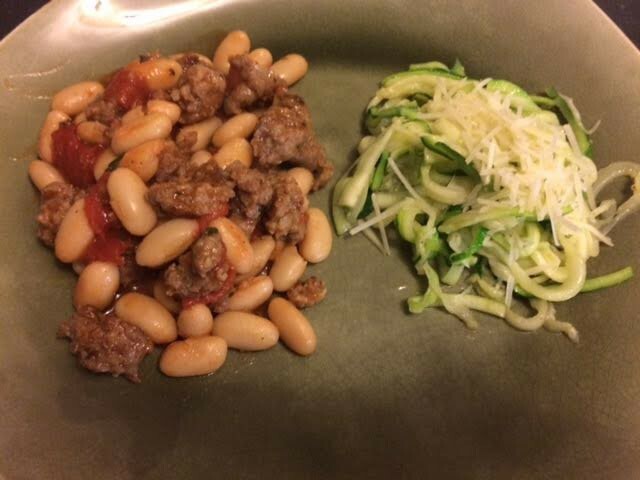 😉 I served this with my fresh tomato sauce that I canned over the summer. Pretty much traditional cocktail meatballs, and they were awesome. The recipe I was using pointed us to the slow cooker, but we ended up using the dutch oven and that worked out fine. Definitely about to be a party staple.